This 4th instalment of the complete String Quartets by Franz Schubert presents one of the most famous string quartets ever written: the Quartet in D minor 'Der Tod und das M�dchen' (Death and the Maiden), one of Schubert�s grimmest and most powerful works, Beethovenian in structure and scope, Schubertian in passion and poetry. 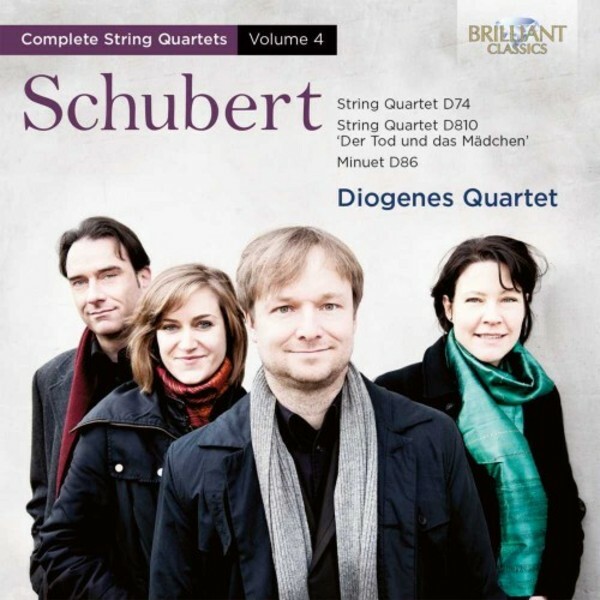 The Schubert cycle by the German Diogenes Quartet is highly regarded - critics have praised their superb unity of ensemble and style, their impeccable intonation and their fiery and passionate music making. To complement the D minor Quartet, we also hear the youthful D major quartet D74. Excellent liner notes are written by the producer Christian Starke.